Yeah, I hear you thinking out loud. “Support forums? That’s sooooo…. 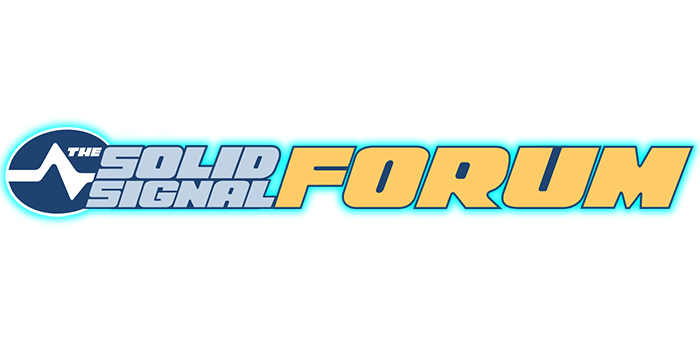 2003.” And yet, the Solid Signal Forums have been around since 2007 and every day people use them to get the support they need. If you need support 24/7, go to http://forum.solidsignal.com. It’s easy to register and you can be as detailed as you need to be. Our staff and a whole cadre of dedicated volunteers will help out any way they can. In 2018 we upgraded the forum to be as secure as it can be. It’s now running on the most secure platform possible using the most modern version of the software. Why not just use a Facebook group? We tried that honestly. It’s not easy to search a facebook group and the results aren’t indexed by Google very well. If someone else has already solved your problem on a support forum you can find out easily by searching. Facebook groups are great but they don’t bring that to the table. That’s why there are so many questions that are repeated over and over again. Is this a replacement for other user forums? Absolutely not. Many people out there know that I have been a member of Tivocommunity, AVS, DBStalk, and Satellite Guys for some time. Most of my time was spent at DBStalk in the 2000s and that’s where I really got my respect for the forum process. It’s one of the reasons that I still operate a user forum. If you’re a proud member of another A/V related forum, register at our forum and post your username from the other forum! For a limited time, I’ll give you access to a private forum where you can post basically anything you want unless it’s illegal or incredibly offensive. Why not try it now? After you register and post, make sure you’re subscribed to the main forum (link here) and be one of the many folks who help out to make the world of home theater a better place.